This photo's submitter claims to be having a philosophical discussion here, and it must be a pretty intense one. My most intellectual debates usually occur with beer cartons on my head and cards spread across the table. 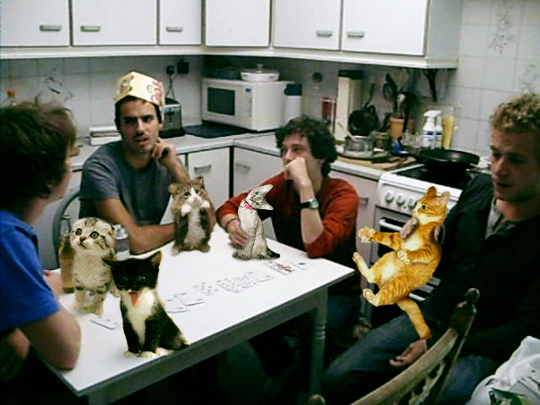 Do you think they are having the discussion WITH the Boozecats or ABOUT the Boozecats? Ratings Widget powered by some amazing widgets over at Serverboy Software.